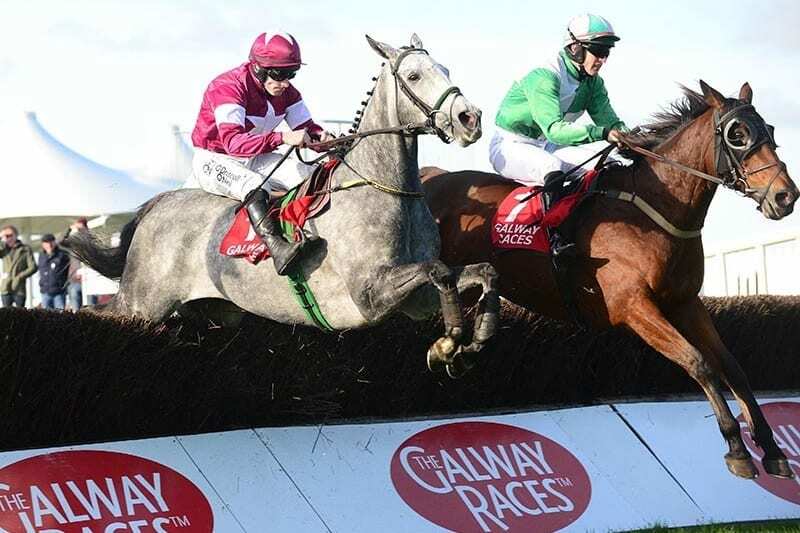 Tout Est Permis and Sean Flanagan (left) jump to win the Marlin Hotels Handicap Steeplechase during day two of the October Festival at Galway Racecourse. Noel Meade has confirmed Tout Est Permis an intended runner in the Irish Grand National at Fairyhouse. Tout Est Permis a $15 shot at online bookmaker Bet365 for the Irish National, with Ted Walsh’s Cheltenham hero Any Second Now and the Willie Mullins-trained Pairofbrowneyes the joint-favourites at $9.